You would like a new car or need to save money for your next holiday? Thanks to the unusual Fritz piggy bank by side by side, you can reach your goal in a quicker, more stylish way. 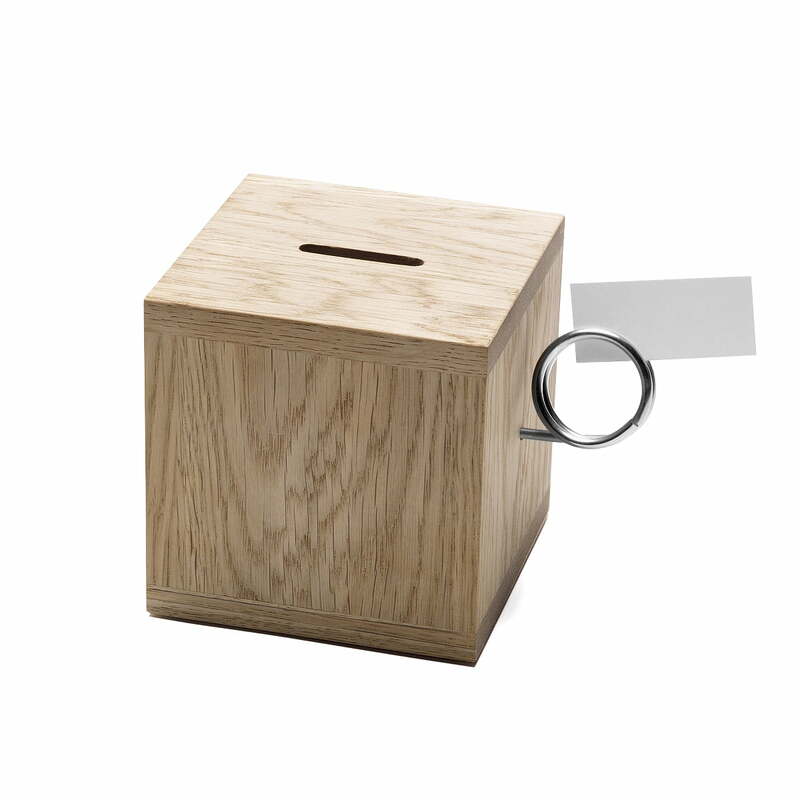 Fritz is a money box in the shape of a wooden cube. The box features a stainless steel ring at the back that is reminiscent of the curly tail of a pig. Small notes can be stuck on the ring to remind you at any time what you are saving for. The humorous Fritz money box was designed by Markus Gläser & Jan Eilts and is manufactured by Ruperti Werkstätten Altötting from untreated oak for the German company side by side. The piggy bank comes with a lock and key. The German company side by side stands for the close cooperation between designers and handicapped people, hence the name. "Design mit sozialem Charakter“ ('design with social character') was founded by the product designer Sabine Meyer in 2002 and introduced onto the market with the Caritas Wendelstein workshop. Meanwhile more than 30 designers create high quality and aesthetic household accessories for everyday life. This is how side by side enables disabled people to socially integrate and participate in professional activities.